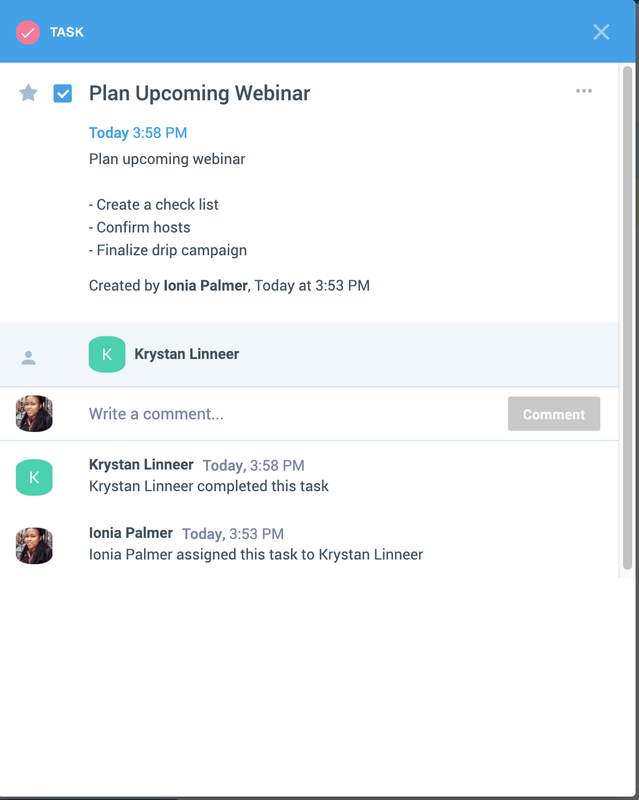 Learn how to set up task notifications for your account. 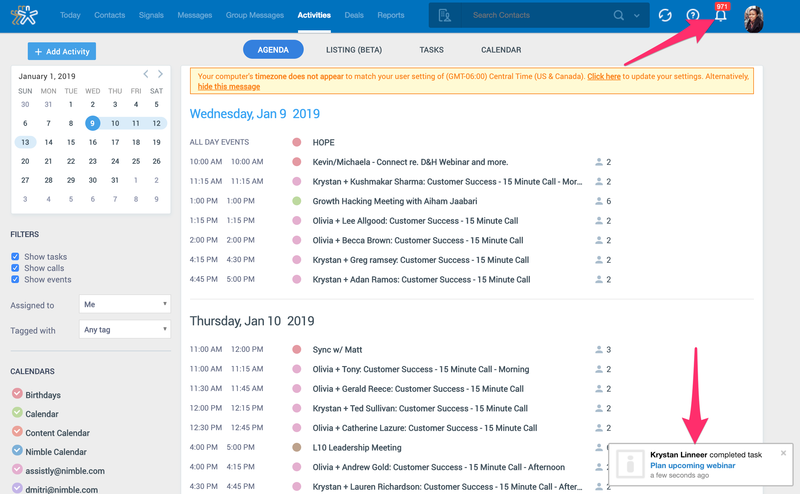 Where do I see notifications in Nimble? What will I receive notifications for? To receive alerts for upcoming tasks and events, you may utilize our mobile apps for Android and/or iPhone. Once in the app, go to Settings and select your alerts under "Notifications". Enable task notifications in Settings >> Notifications to know when someone has commented, closed, or assigned you a task. You may receive notifications via email, in-app pop up window and browser/desktop. 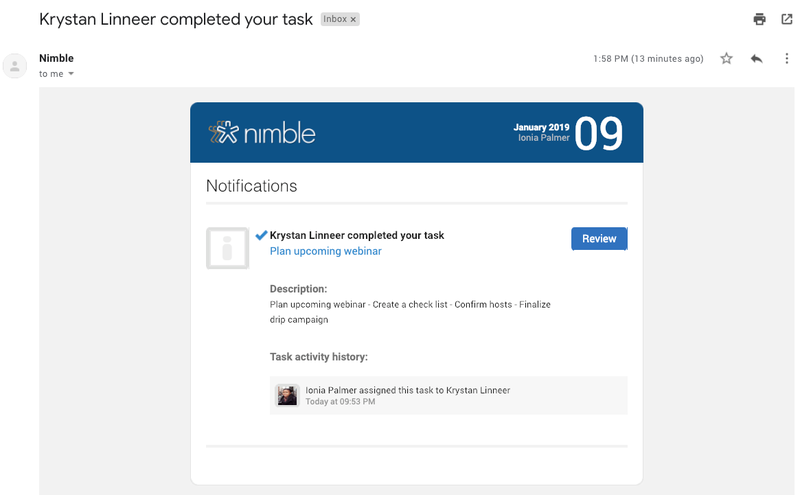 If you select to receive notifications in your Inbox, Nimble will notify you once someone has comment, closed or assigned you as a task. Select the "Review" button to view the task in Nimble.